iBall has launched a new version of Slide Brace-X1 4G tablet running Android based operating system ‘Remix OS’ in partnership with Jide Technology. 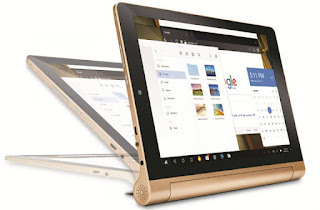 The company said that all its future iBall Slide Tablet PCs will run Remix OS offering a fully functional desktop experience. “Remix OS blends productivity with Android offering several key features such as Multi-tasking, working on Multiple Windows, Taskbar functionalities that let you do a lot more, Keyboard and Mouse optimization and Advanced file management,” said the company. It has a 10.1-inch (1280 x 800 Pixels) capacitive multi-touch IPS display powered by 1.3 GHz Octa-Core ARM Cortex A53 processor with Mali-T720 GPU with 2GB RAM and 16GB of internal storage. It runs on Remix OS based on Android Packed with a 7800mAh Battery. We are pleased to be the first brand in India to introduce ‘Remix OS’ to Tablet PCs. The question for several in mind is Why Remix OS? Well, people find it easier to do a task right from their Android smartphone. Moreover, many popular apps are working on Android like Instagram, WhatsApp etc. which are not as simple in web as in the phones. ‘Remix OS’ has the ability to run the Android OS as a fully functional desktop. Pioneering the next chapter of the Android journey, Remix OS enhances Android with productivity. David Ko, Co-Founder, Jide Technology, said: Jide Technology is excited to be partnering with iBall, the leading Indian Tablet PC brand, to bring Remix OS to this key strategic market for Jide Technology. The next billion people coming online for the first time will be in emerging markets like India using Android smartphones. As they move from being consumers of content to building, editing and creating for work, they will want to use their familiar Android app ecosystem with a true desktop experience for business, education and home entertainment. iBall Slide Brace-X1 4G with Remix OS is priced at Rs. 17,499 and will soon be available at select stores across India.